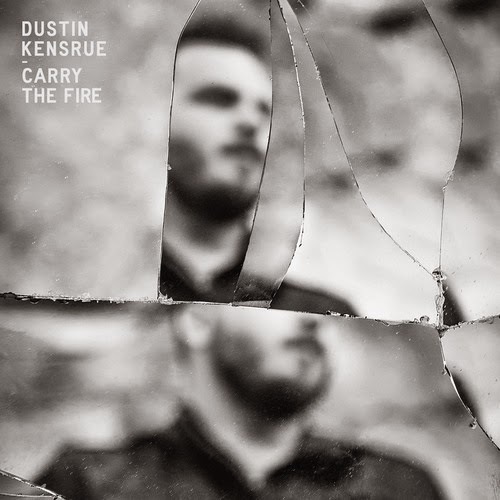 Dustin Kensrue debuted a new song today, "Back to Back", from Carry the Fire, due April 21 on Vagrant Records. The track is excellent, and a return to form. He commented on it for Billboard. Dustin Kensrue is one of, if not my favorite, musicians of the last decade. I love all of his work with Thrice (which should be releasing new music this year!). But when Thrice broke up, he moved up to Seattle from Southern California to work at Mars Hill Church. He did "worship" music for them, and released a solo worship album. Mars Hill recently dissolved (and Dustin resigned a couple months prior). While the Mars Hill circumstances were horrible for many of the people involved, the good news for us as music fans is that now Dustin has more time to commit to his solo work and Thrice. Even as a Christian who feels it is important to worship God through music, I don't like The Water and The Blood, his solo worship album. It has a few good songs, but only one great one ("It's Not Enough"). I think the album, along with his two Modern Post EP's, are very cheesy. I don't want music like this played in church, and I avoid churches who use "modern worship music." Dustin recently explained on his website the use of the Modern Post band name, and his desire to continue record worship music. Here is an excerpt: "When I put out The Water and The Blood, I made the decision to release it under my name. I think there were good reasons for this, but in hindsight I think it has been confusing to fans of Thrice and my solo work." He goes on to say he will use the Modern Post moniker exclusively for his worship music moving forward. This is good news for me, and most of Dustin's fans I would imagine, because it means we can avoid The Modern Post stuff and focus in on Thrice and his solo work. Back to where this post started, I am VERY excited about Carry the Fire. I pre-ordered it on red vinyl yesterday. The track here is excellent, as are other live versions of songs I have heard from it. Finally, let me make it clear that I love the fact that Dustin sings about his faith in Jesus, and it is a big reason I have followed Thrice and his other work for so long. In fact, to me Dustin is a theologian in some ways, and I have learned a lot about God and the Bible through his lyrics and interviews. But to me there is a big difference between singing about his faith and recording worship music. I'll end with a question. I know there are a lot of Thrice fans who are not Christians. If that describes you, do you listen to any of Dustin's solo work, and is there anything about The Water and the Blood you enjoy?